The last night to party at beloved East Village venue Webster Hall, in its current form, will go down this August. 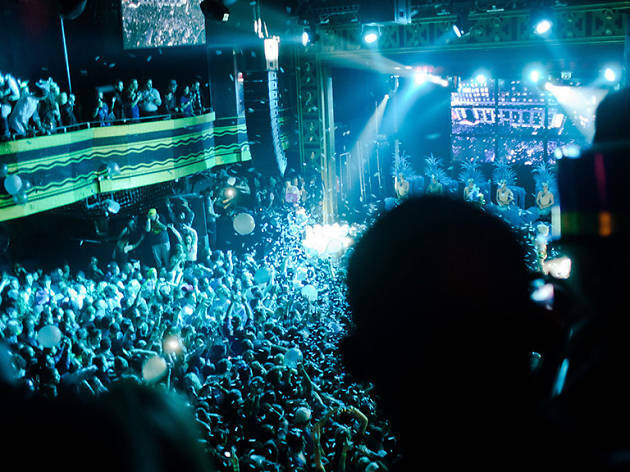 The venue has planned a series of Final Shows, which right now include gigs with Rag N Bone Man, Michelle Branch and Good Charlotte, and goodbye nights for its regular party nights. The last of those at the moment is August 9. After that, the venue will undergo an extensive renovation as part of its sale to AEG and Brooklyn Sports & Entertainment (the company that owns Barclays Center). When it reopens, its booking will be handled by Bowery Presents, which was also acquired by AEG last year. 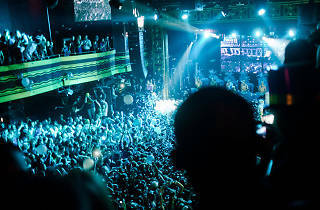 Webster Hall has had many different forms since the first theater was built on the site in 1886. In the 1980s, it operated as storied club the Ritz, and since the '90s has been run by the Ballinger family. As one of the biggest independent venues in city, Webster Hall has always had a kind of grimy charm. It's unclear how much of that will change with the new iteration, but you may want to say your goodbyes. On the venue's closing—and the last night of its GOTHAM club night—general manager Gerard McNamee posted the following statement. Sad but true, the legendary and world-famous Webster Hall has been sold and will close as we know it for its final club night on Saturday August 5th, 2017, which just so happens to be my birthday, which is certainly somehow apropos. It will be closed for an undisclosed period of time for demo, reno and transition to corporate ownership under Barclays/AEG/Bowery Presents. I highly recommend that you all stop by before the end of this era to pay your respects to the Ballingers and the building for providing us with a lifetimes worth of memories. There are only 12 club nights left. Please come celebrate our rich 25 year history of being the biggest, baddest and longest running nightclub in the history of New York City.